I hate the movie Dune. I hate everything about it. I feel it's one of the most angering and boring experiences known to man. Which is a shame, because I'm a very big fan of David Lynch. 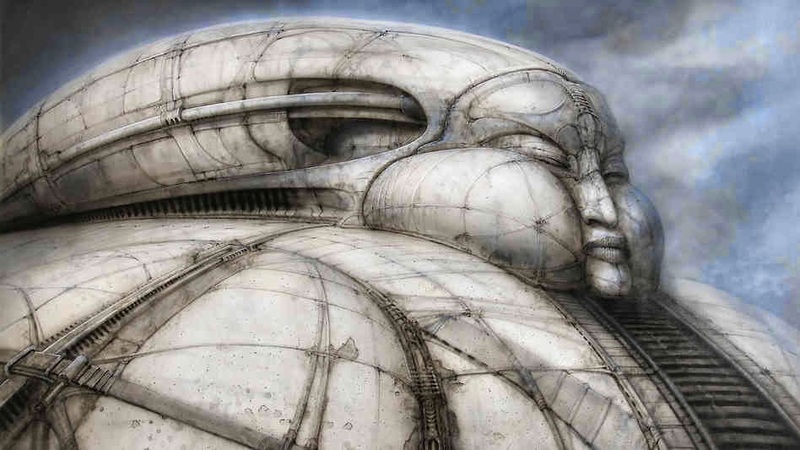 Anyone who knows anything about Dune, knows everything just fell apart and what COULD have been a great idea and a huge movie, turned out to be at least 2 hours of boredom and confusion.Now, I'm aware it has a cult following and there are fans that see past the nonsense, but for some reason, I can't. It's been a movie that I've hated since I was about 14 when I rented it and the copy got eaten up in machine leaving me without a vcr for a month. And then when I finally watched the movie, I found a waste of my life. Boring, boring, boring and just all over the place leaving me wanting to bang my head through a wall. Although, if I had at least one praise, it was the portrayal of Baron Harkonnen. The fight scene in the Beat It video was more action packed than this. 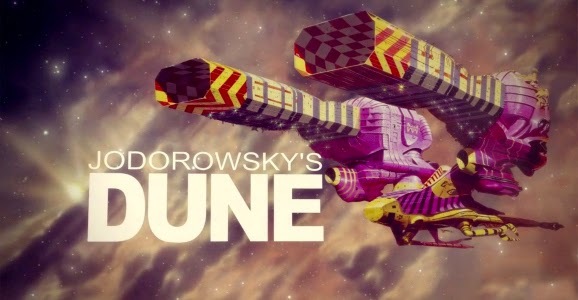 Now sure, the feeling is a common feeling with a lot of people, but when I heard of the Dune we were supposed to get, I was even more infuriated. 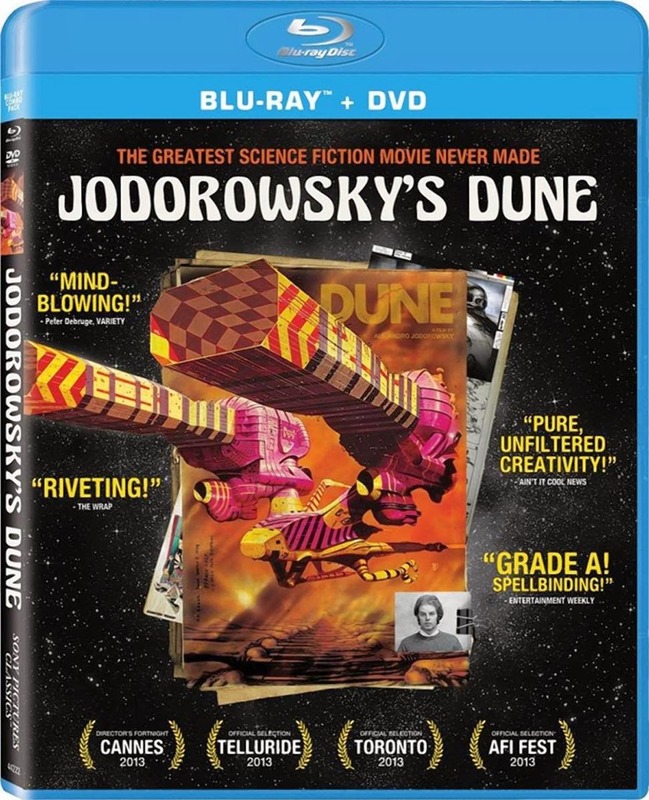 Before David Lynch was given control of the 1984 film, Dune was originally meant to be a grand vision of the great Alejandro Jodorowsky. 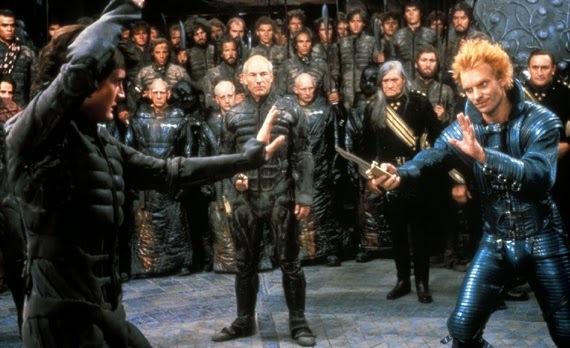 Armed with famed French artist Moebius, actor David Carradine, and Pink Floyd, Dune was set to be the movie to end all movies. This was going to a very huge event. Through storyboards and preproduction concept art(apparently seen by many in the Hollywood throughout the years), a story is told like never seen before. From the proposed opening of the amazing shot of space to the ending, I felt more disappointed that we missed out on this movie more than any other proposed movie I've heard(Including that Masters of the Universe sequel we were promised). Others like Orson Welles, Salvador Dali, Mick Jagger were being propositioned to being brought on to this project as well. I guess Mick Jagger being proposed as Feyd Rautha lead David Lynch to casting Sting the role in his movie. Jodorowdsky himself expresses his childlike glee and passion for this project throughout the movie and it shines through like nothing else. I dare say this would've been the movie that put him on an International level alongside Spielberg, Coppola, Scorsese and other giant directors who gained notoriety at that time. At the same time, his glee, maybe accidental, for Lynch's Dune failing was quite entertaining. I feel that despite Mick Jagger, Orson Welles, Pink Floyd, and everyone else involved, Jodorowsky would've been the true star and VIP of this film. 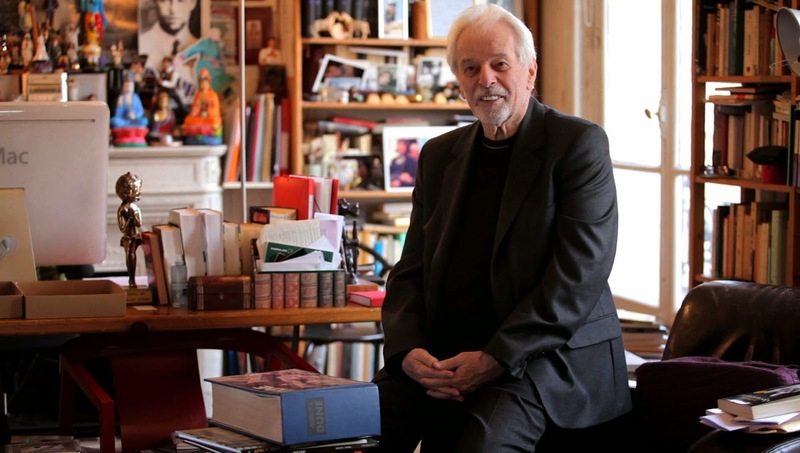 As a visual master who is willing to die for his craft, Jodorowsky has the outstanding ability to make viewers uncomfortable at the same time as entertaining them, it would've been so fascinating to see what was to be the final result would have been. Essentially, we'd be looking at the first giant blockbuster movie that would've been impossible to follow up. Unfortunately, a huge portion of the movies budget was used on preproduction and it looked like the movie just wouldn't get done. And after exhausting resources, it was time to throw in the towel. Sadly, the rights were given to Dino DeLaurentis and we got the atrocious trash known as David Lynch's Dune in 1984. A sad ending to such a spectacular vision but as grand as it was meant to be in the script and heads of it's creators, it wasn't mean to be on the screen. I hate "Rating" movies and products, but this amazing documentary deserves the highest praise and accolades humanly possible. If I could, I'd give it 15 stars out of 10. It's just so amazing and captivating. In fact, I dare say, Electric Boogaloo(the highly anticipated story of Cannon Films to be released this year) will have a very hard time following this one! Now, you can witness what was meant to be on an amazing documentary. A lot of effort was put in to tell one of the most amazing stories ever told in Hollywood. And you can pick it up via Amazon which is worth the asking price of $25. I can't suggest this BluRay any higher. For those who love Hollywood stories and love watching how movies become what they are, this is a must. In fact, if you think this isn't the best movie documentary I've seen since Never Sleep Again, then I'll buy you a Dune pillowcase. Hostess, Please Bring THESE Back!